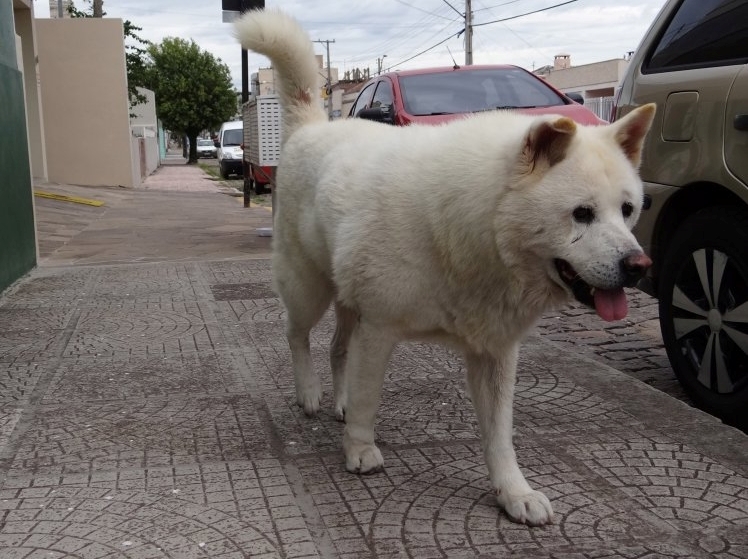 Every day, Thor walks the same route he and his owner, Claudio, used to do every day before he died, walking along the streets of Capaçava do Sul in south east Brazil. He’s become a local celebrity thanks to his daily tribute to Claudio. News of his daily walk spread last week when a local vet highlighted his case, explaining that when Claudio died at the age of 58 in 2015, Thor missed his friend so much he became sick with grief. 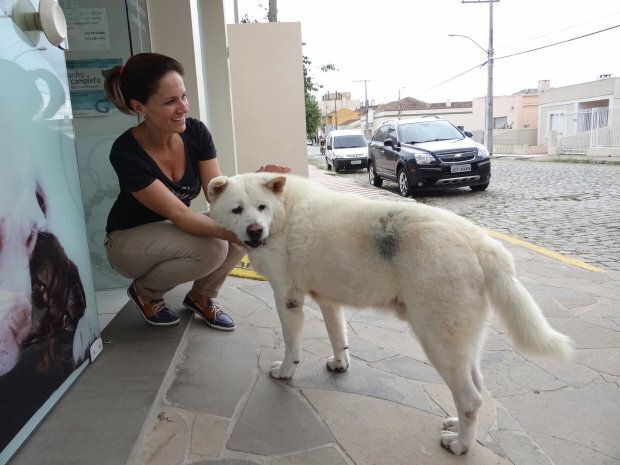 Claudio’s neighbour, Saionara Freitas, adopted Thor after seeing just how miserable the dog had become. ‘Thor stopped eating when Claudio died,’ she said. 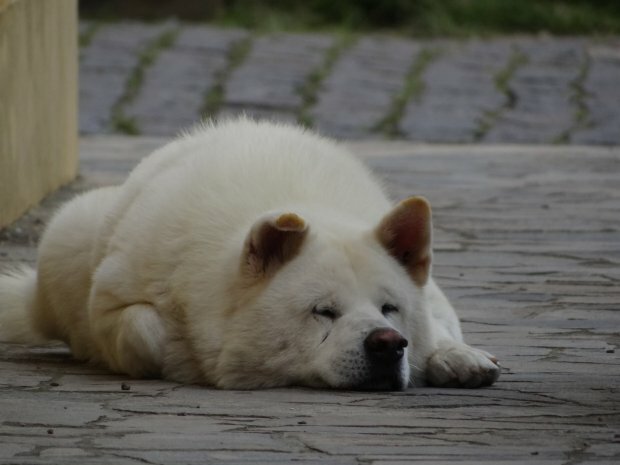 ‘He would lie in the courtyard of his house without moving for days on end. Two years after Claudio’s death, Thor is slowly getting over his grief. But he still remembers Claudio with his daily walk along the route he walked with Claudio for over a decade. ‘He always follows the same route that Claudio used to take with him,’ said Saionara. ‘I have followed him many times to see where he goes and to see if he takes a different road but he never changes it. 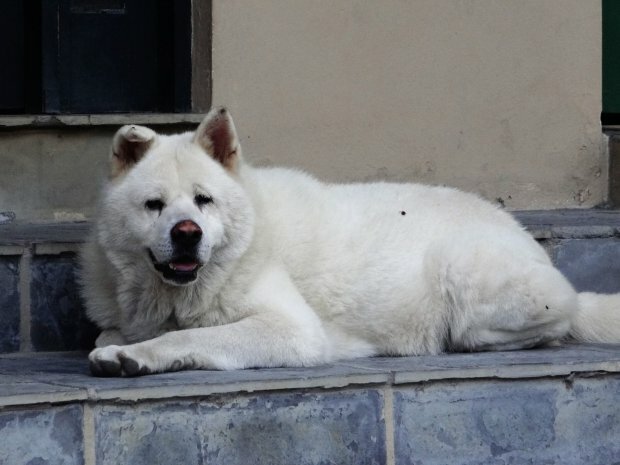 When Thor reaches the lottery office, he always pauses to sit in the same spot outside the building, where his owner always popped in to place his bets, and wait for his friend. ‘I have watched as he lies down outside the clinic where Claudio would stop and chat and sits and waits outside the lottery,’ says Saionara. ‘He looks like he’s hoping Claudio will turn up and I swear I have seen tears in his eyes. Responses to "Every day heartbroken dog does the same walk he did with his owner before he died"
Beautiful soul in that dog. I hope Thor can be buried by his companion,Claudio, when it's his time to go!! Looks like Thor is an Akita, at least partly. They are known for such loyalty to their families. Very big , loving Hearts!